There are very few things that can compare the romance with the nature, charm, beauty and excitement of walking through the rain drenched evening, completely soaked in the gorgeousness of the nature. One of the things that can bring you close to the nature in the most fashionable fashion is safari. If it is a safari on the river; for obvious reasons, can overpower the excitement provided by any experience of romancing with the nature. The joy of meeting the parallel world on the same earth is rare and unforgettable experience. Don’t you think once in a while the hustle and bustle of Singapore city be given a miss for an escape to meet one of the most fascinating creations in the marine life? Take a boat ride and give yourself in the hands of the nature completely, to immerse into wet and wide journey of Singapore River Safari. Take a leisure boat ride along the perimeter of the River Safari and breathe in the cool breeze while listening to the nature’s polyphony of gently lapping water, the call of the birds, the rustles of the leaves and meet the rarest of the rare combatants of the marine world. The 12-ha park, which is located at Mandai, River Safari is a wildlife adventure tour inspired by the world’s most iconic rivers. 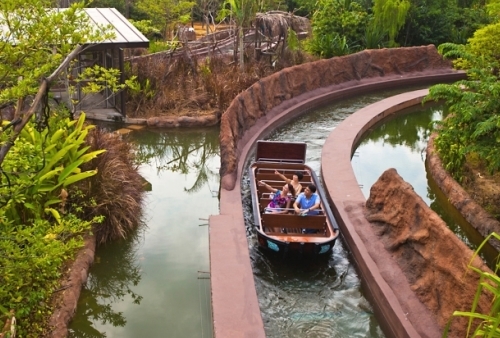 The Asia’s first and only river-themed wildlife park, River Safari boasts a tropical rainforest setting. 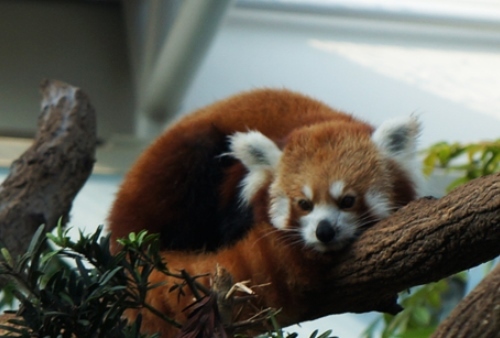 River Safari showcases 10 different ecosystems around the world, including the River Nile, Ganges, Yangtze River, Mississippi, Amazon as well as the Tundra. The safari provides you an opportunity to see over 6000 animals of 300 species; many of them are on the verge of extinction. 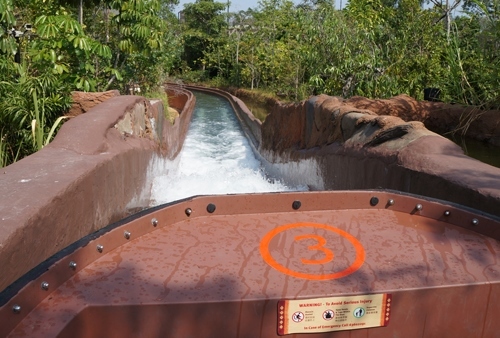 With the plenty of opportunities to capture the picture-perfect sceneries and wildlife along the most fascinating rivers in the world, River Safari exhibits various animal attractions, and theme park rides. Wander into wild Amazonia and set sail with the boat ride called the Amazon River Quest. 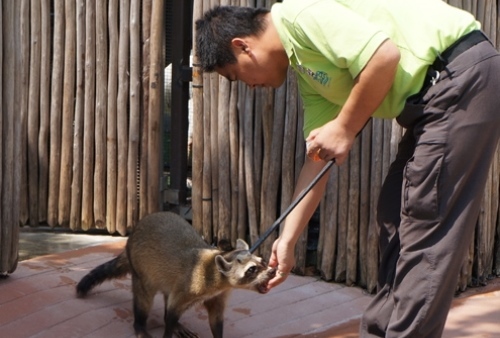 The quest lets you meet some of the amazing wildlife from the world’s largest tropical rainforest, such as anacondas, American beavers, electric eels, West Indian manatees, giant pandas, jaguars, Chinese alligators, as well as a pair of Japanese raccoon dogs. 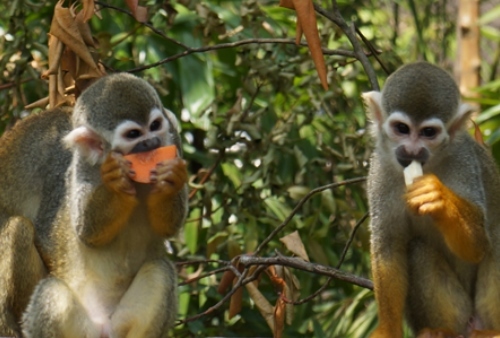 Step into the Squirrel Monkey Forest and say ‘hi’ to this tropical aviary’s free-ranging residents. Look out for their bounding leaps from the trees above you. 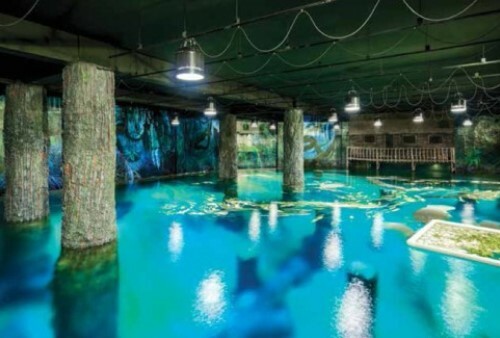 Watch in awe as massive manatees swim serenely around their equally gargantuan aquarium at the Amazon Flooded Forest, a truly beautiful sight. 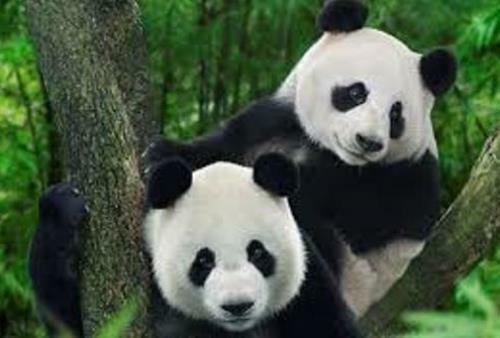 One of the main attractions of the River Safari is a pair of male and female giant pandas. 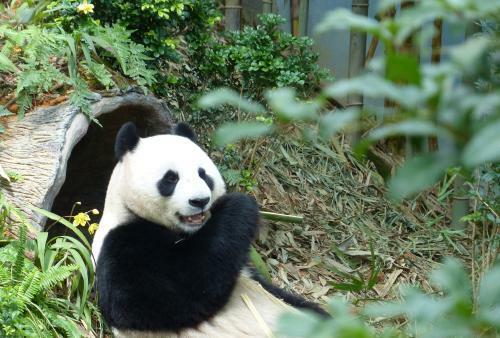 Named in 2010 as Kai Kai and Jia Jia are housed in a specially constructed climate-controlled enclosure. The Chinese gift to Singapore celebrating their friendship, the maneuvers of Pandas can keep you busy for the whole day. 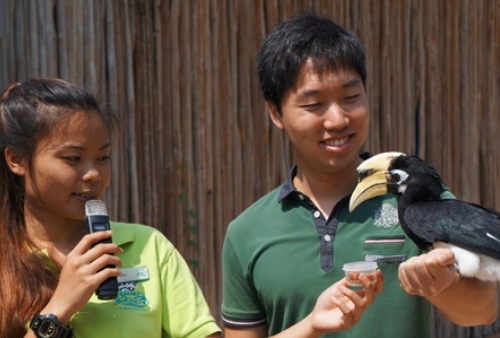 A 15-minute River Safari Cruise on the Upper Seletar Reservoir, will travel along the outskirts of the Singapore Zoo and the Night Safari compound, which border on the reservoir, giving visitors a chance to spot animals including giraffes and Asian elephants. 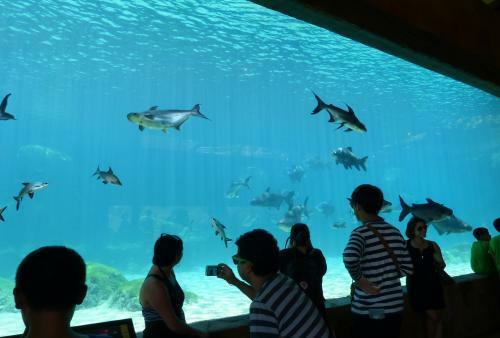 You can see most this animals in their most active session during the feeding session in this freshwater aquarium. You shouldn’t miss this chance of getting up and close to wildlife in a most friendly manners; especially when we, at SSA, are offering full day filled with fun and entertainment with 12% discount on River Safari tickets. Book online tickets now before the park gets closed from the 15th of October for the maintenance.